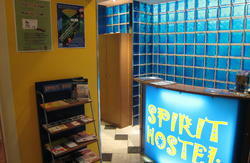 Opened in December 2008, King of Belgrade is fast proving that it is in a Hostel class of its own. Only 15 Min walk from many intriguing landmarks, King of Belgrade offers the perfect location for anyone wishing to visit the vast and diverse History that engulfs Belgrade. Located in Dorcol, Belgrades public transport is effortlessly accessible. And as for all the party fan a 10min stumble down to Strahinjica Bana street will provide an excellent start to Belgrades inescapable night life.. The hostel is very well traffic connected to all atractive locations (for eg. Republic square, famous Belgrade fortress Kalemegdan, Belgrades lake Ada Ciganlia, New Belgrade and many more). 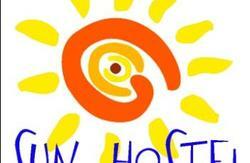 The Hostel has one twin private room, two double bed room and 2 bathrooms with showers. 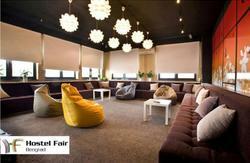 All rooms are equipped with WiFi Access, LCD TVs.. Bed linen,hair dryers,iron and ironing board are also available at the King of Belgrade. We hope that your stay at the King of Belgrade Hostel will be a memorable one. From Republic Square: Take Bus Number 37 for 3 stops in the Pancevo Bridge Direction. From Main Bus and Train Station: Take tram Line 2 which will take you up Cara Dusana Street. Get off when you are adjacent a large market place Bajlonijeva Pijaca. Walk down Knez Miletina Street until you get to Venizelosova street. We are Number 58. If you are having trouble finding us feel free to give us a call and well come find you..